Rockstar Games has announced their plans to add a great Red Dead Redemption 2 single player feature to Red Dead Online in the coming months. A big update is being planned for Spring 2019 which will make it possible for fans to run into random encounters. This proved an excellent way to fill up the massive world in single-player mode and is sorely missed in Red Dead Online. More story missions and other activities for PS4 and Xbox One players are also on the way and will no doubt prove very popular with fans hungry for new content. From what has been confirmed by the development team so far, new Showdown Modes and Racing Modes will be arriving throughout April. These will be more like the stuff already available in the game and will likely be paired with new cosmetic items. However, this will be followed by a much larger update that has yet to be given a Red Dead Online release date. The good news is that Rockstar has confirmed it will arrive during Spring 2019, meaning it has to launch before the end of June. Unfortunately, the big Red Dead 2 update will not arrive in March and sounds like it could be being planned for early May, rather than April. But plans can change and we could see something much bigger arrive in the coming weeks then we first thought. So the countdown for the new content can begin for fans hungry to do something new on PS4 and Xbox. Red Dead Online is set in the years before the single player story so expect to encounter a range of new and familiar faces, they have warned. One of the main standout additions will be a feature that has worked so well in single-player to make it fun to play. The introduction of dynamic events will no doubt help fill up the empty online world and will certainly add more flavour to roaming the West. Players will be able to fight off ambushes, initiate rescues, defend folks in need and more as you travel across the world. This will come as welcome news to fans hoping to see Red Dead Online catch up with GTA Online when it comes to content. 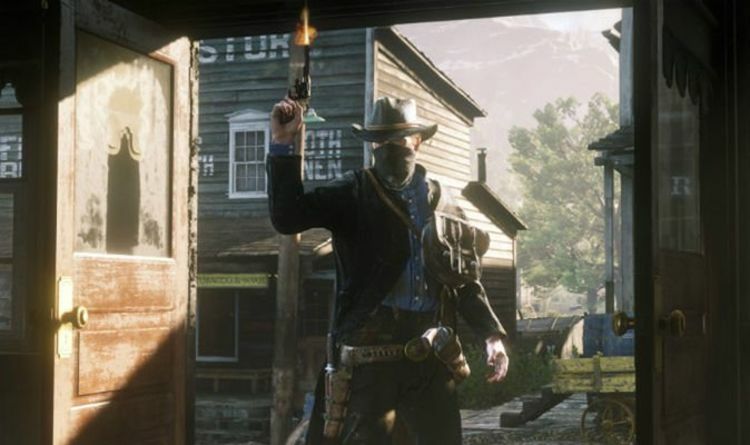 “Our experience of building other online worlds has helped us create a more evolved foundation for the open spaces of Red Dead Online, but the world of Red Dead Online will evolve in its own unique direction – one in which players have greater freedom to customize their play style uniquely over time, allowing them to sink into the world and their character and feel more connected to the experience of living as cowboys, outlaws and gunslingers in the wilds of 19th century America,” Rockstar adds.